Robert (Bob) Holguin, the Nevada district director for the U.S. Small Business Administration, died on Jan. 15, leaving behind a legacy of increasing funding to help small, local businesses grow and veterans increase their potential for success. A leader in helping small business owners and veterans realize their dreams of being successful business owners was lost in mid-January. Robert (Bob) Holguin, the Nevada district director for the U.S. Small Business Administration, died Jan. 15, leaving behind a legacy of increasing funding to help small, local businesses grow and veterans increase their potential for success. Holguin had a long career helping small businesses realize their dreams. When he was the manager of the East West Bank’s SBA lending division from 2005 to 2007, Holguin increased SBA lending from $18 million to more than $75 million, within 12 months. Holguin eventually brought the East West organization to the top 100-ranked SBA lenders in the country. Shaundell Newsome, founder of Sumnu Marketing, as well as an advocate for small businesses in Nevada, knew Holguin well and was fond of the strides he brought to the local community. Newsome said he met Holguin a couple of years back when he entered the SBA as deputy director. 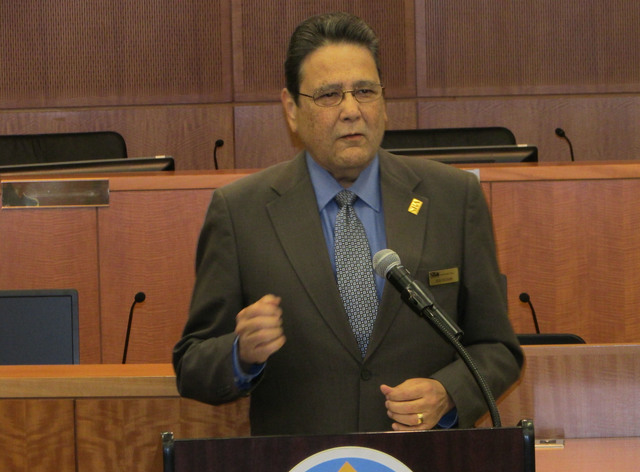 Newsome pointed to Holguin’s push to bring alternative lending to the Southern Nevada market. One that he championed was Accion — a nonprofit organization that extends loans to small businesses. Holguin also championed small business development. Prior to coming to the SBA, Holguin spent 11 years in the banking industry. He also served in the U.S. Navy during the Vietnam War. During his tenure at SBA, he gave back to the armed services through programs that helped with turning leadership into entrepreneurship. Holguin supported the Boots to Business program at the SBA — a training program that helps veterans transition into management rolls. Newsome is involved in teaching the program. As an Air Force veteran, Newsome finds the program important. Services were held Jan. 28 at The Church of Jesus Christ of Latter Day Saints at 8755 Iron Mountain Road.